F15’s Annual Exhibition takes its cue from the cult sci-fi television show Quantum Leap (1989-1993). The protagonist Dr. Sam Beckett is a brilliant scientist who, following his quantum experiment in time travel, leaps through space-time, temporarily inhabiting the bodies of other people and altering the events of history. Artists are now invited to submit work for this year’s exhibition. Up to four works can be submitted for consideration. Please read our application information and terms and conditions before submitting an application. 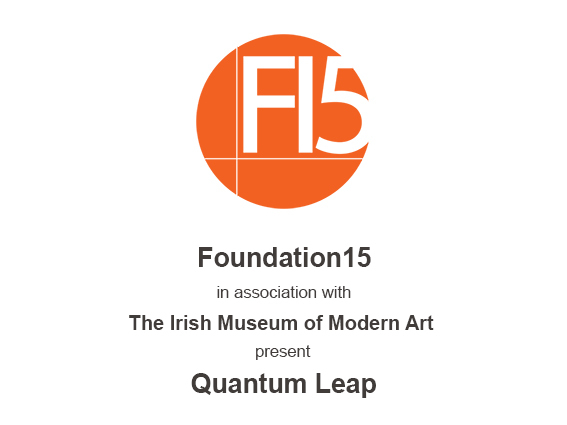 To submit artwork to Foundation15 there is a €10 consideration fee. The deadline for applications is Tuesday 30th June at 11:59pm. If you have a problem submitting your application or need to get in touch email submit@foundationartsfestival.com.